Nowadays, smartphones and social media go hand in hand. In recent years, mobile devices have taken social media marketing to a whole new level. An already monstrous entity, social media has gained even more power as users continually choose to access their networks remotely, via smartphones, tablets, and laptops. And because of this, advertisers have had to adapt; campaigns need to be presented in real time, they need to be multifaceted to display on all platforms and devices, and engaging enough to stand out in social feeds. In this Front Porch Solutions blog post, we’ll look at how the rise of mobile changed social media marketing and what your business can do to capitalize on this trend. Mobile Changed Social Media Marketing—What Can Marketers Do? Since its inception in the late 1990’s, social media has expanded with astonishing speed. Evolving from its early years of limited access with platforms like AOL Instant Messenger, chat rooms, and Bulletin Board Systems, social media is now a behemoth of an industry lead by heavyweight providers like Facebook, Twitter, Snapchat, and Instagram. From these new public platforms, marketers were offered a seemingly extraordinary opportunity: the ability to advertise to actual customers rather than a target market group. Within personal social media profiles, brands can identify potential customers based on demographics, behaviors and interests posted online. Then, brands can use the given information to direct digital campaigns tailored to that type of customer. 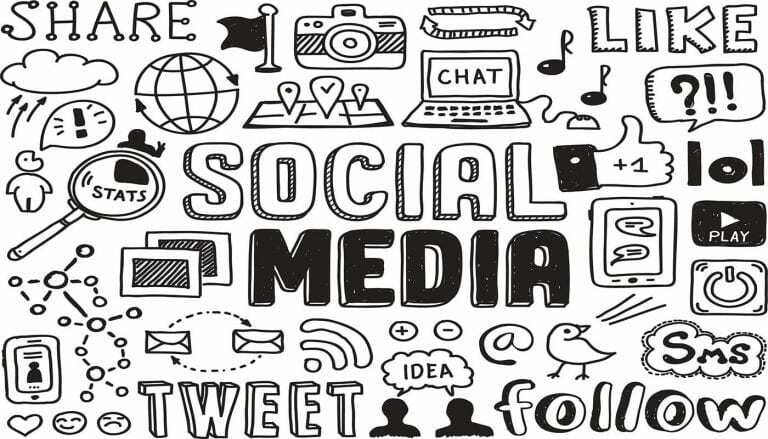 Social media does not discriminate; people of every age group, cultural identity, religion and social standing utilize social networking sites. This widespread usage allows brands to interact with consumers they may not have previously targeted. Brands set up social profiles for their businesses to act as an extension of their products or services, and there they post updates, photos, articles, and more. Through these outlets, brands can reach a larger audience and more potential clients than traditional marketing material. Social media is now fully integrated into the culture of smartphones and mobile devices. These days, more often than not, users are accessing their social media networks from their smartphones, thanks to downloadable applications and mobile-optimized web pages. In fact, about 80% of time spent on social media by consumers is through a mobile device. So the question for marketers becomes: how do you adapt your marketing strategy to benefit from the marriage of social media and mobile devices? Online reviews are an increasingly important part of a successful online presence for businesses. While testimonies and word of mouth are still important, 88% of consumers trust online reviews to inform their purchasing decisions. Research shows that there is a strong correlation between positive online reviews and sales, meaning you can increase business if your company has positive online reviews. Customers will often choose brands with positive reviews over the competition that does not have reviews. Wi-Fi and smartphones also increase customers’ real-time decision-making process. A quick search for reviews of the brand, product or service are available at any time prior to purchasing, even in the checkout line of a brick and mortar establishment. With this change in consumerism, it is vital that business owners prioritize online reviews. Both positive and negative reviews can impact your business; positive reviews show customer satisfaction while negative reviews reveal company transparency. Interestingly enough, consumers who read reviews on smartphones are 127% more likely to purchase that company’s product or services than those who read reviews on desktop computers. Make sure you have added an online review option to your website. Consider ramping up efforts to encourage consumers to review your business. Aim for a large number of real, positive online reviews to help solidify your ranking on search engines like Google. Respond to both positive and negative reviews. More and more—thanks in part to dependence on mobile devices—social media platforms are embracing the use of storytelling, or “Stories.” Once only available on Snapchat, user-generated collections of photos and video that disappear after 24 hours are now the option of choice for social media users. Facebook launched Facebook Live last year and just recently rolled out Facebook Stories, which follows the successful launch of Instagram Stories in 2016. Stories seem to work for several reasons. By following the traditional aspects of storytelling, Stories are appealing to users. Algorithms that dictate social media feeds usually disrupt chronological flow, which can render efforts ineffective. Stories allow users (and marketers) to string together a narrative, which makes more sense to an audience. Now, some platforms like Instagram and Snapchat are allowing brands to advertise within the Stories element of their social network service. These ads are skippable, marked with a “Sponsored” banner and appear in between stories in a seamless transition. The format of online social media Stories is projected to transcend other dated features, so it is important to implement this concept within your brand’s advertising. Advertisements in social media Stories will be very short (usually around 10-15 seconds) so be sure to make the best use of your ad space. Each platform operates differently, and thus engagement differs as well; be sure to tailor your ad concept for each social media networking site. 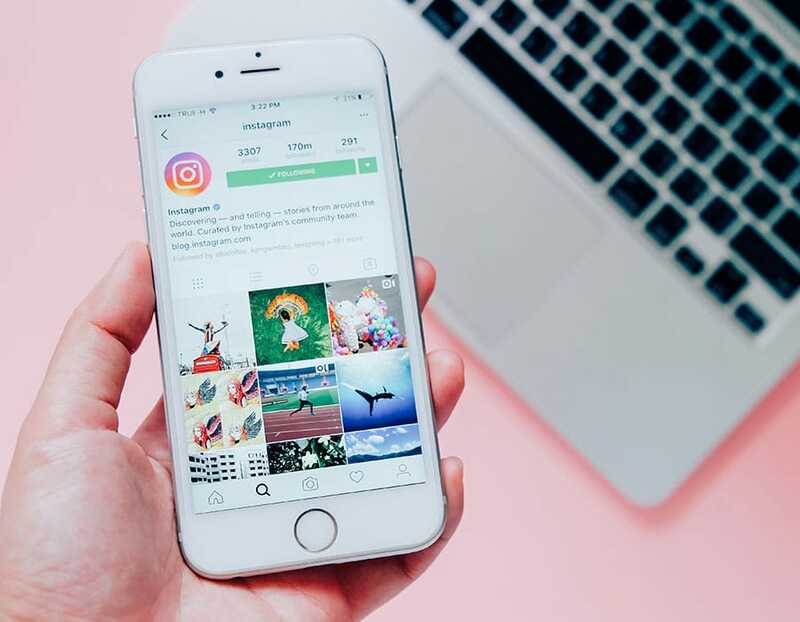 Influencer marketing is an effective strategy that uses a key social media leader with a large following to drive a brand’s message to their audience across their personal social networking platforms. Influencer marketing is halfway between a product mention and an official testimonial. The concept was born from social media and goes hand in hand with the prevalent use of smartphones. Mobile makes the influencer’s job easy because they can promote brands remotely or wherever they may be. This is a great incentive because influencers are often unpaid or paid with a barter for products or services. About 47% of online users have installed ad-blocking software, so choosing to invest in influencer marketing is often smarter than putting money behind traditional online ads. The influencer’s promotional posts are not labeled “Sponsored” because they are not technically ads. The post acts as a subtle commercial masked by its normal rotation in the social media feed. The follower or influencee is sure to be in the brand’s target demographic, already interested and likely to pay attention. Identify social media leaders and internet celebrities in your industry, or leaders in the demographics of your target market. Reach out and inquire about collaborations, or send samples of your product/services to those key social media leaders. Create a couple of marketing campaigns directed around the influencers to drive awareness to a larger set of your target market. According to a Pew Research Center survey, 77% of Americans now own and use an internet-enabled smartphone. Because of this pervasive use, marketers are counting on the public to always have their mobile device on hand so they can Snap, Tweet, Like and Share company branding whenever and wherever. Companies use social media contests and giveaways to connect with their audience and garner greater numbers of leads. In exchange for a post like, page visit or even submitting a personal email address, companies will offer exclusive deals, coupons or product giveaways. Some businesses will send special coupon codes and insider deals via text message to leads that have provided a phone number. Social media contests and giveaways have proven to be very effective for many companies looking to increase website traffic, generate leads, or build a social following. These contests and giveaways can be posted directly on a brand’s social media page, or with a CMS plugins like KingSumo or on a third-party site like Heyo. Research the pros and cons of each option before deciding on what will work best for your brand. Define the goals of your contest or giveaway (i.e. website traffic, audience engagement, email lists, lead generation). Pick an exciting prize or an attractive deal (limited time product, weekend getaway, gift cards, coupons, etc.). Consider collaborating with online influencers or industry heavyweights, so long as they don’t represent your direct competition. Create your contest/giveaway and promote it wherever possible (email campaigns, other social media platforms, website landing page, etc.). While it is apparent that mobile changed social media marketing, the industry is progressing in more ways than one, and if you don’t keep up, your brand could be left behind the competition. If you’re interested in furthering your digital marketing strategy, contact Front Porch Solutions to discuss our growth-driven approach to inbound and content marketing, and what we can do for your business.